Searching on internet is becoming a habit. For everything and anything you might be using the search engine. Why not get the best search engine app that can provide you useful and up to the mark results. As a result of which in this article I am going to write about the best search engine apps that you can you in your daily life. You might already be aware of some of these apps, but I can grantee that you might not have heard about other search engine apps. Every search engine app that I have listed is unique in its own way. All of them have their own search algorithm and can provide results as per the query. Hence you can try all of them and choose the best one that you would need. 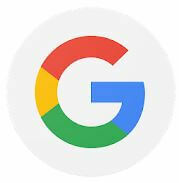 Google is number one search engine app that anyone can use for any of the queries. It is the most trusted and dependable app for search engine. You also might have used the term, “google it”, when ever you might have been talking about something to be searched. The Google search app is available for android and ios users. It also has a website called google.com. The google search app has improved so much that you can literally get everything on the search page itself. You can search for near by stores, movie timings , restaurants , shops etc. This is the most user friendly app and is free to use for everyone. 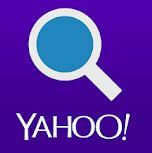 Another great app that one can use for searching things on internet is Yahoo search. This is also a well known search engine. You can find all the answers in a go. It’s design is very simple and that makes it easy to use with all the other apps. You can search for things instantly and will get the results accordingly. It also got voice search that can use if you are busy driving or biking. You also will be shown images results, videos results and suggested queries while you type in the search term. You will also get suggest search results that will help you get more indepth search results. 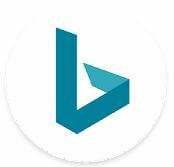 Another search engine which is used by millions of people of Bing search. As this search engine is supported by the Microsoft itself, there are lots of advantage of using this search engine app over the others. You get to experience ultimate user experience. There will be appropriate and useful search results displayed for each search. You also get to see the questions asked by people related to your search query. You can snap a pic to search, shop the item or find the similar image. The best part if, you can take the help search to solve the math equation with utmost accuracy as well. You also can search for music videos and other cool stuff to keep yourself entertained as well. Bing Search can also help you save a lots of money. You have the option to compare reviews and prices from major retailers. Another great app that could provide you with all the updates and latest news is AOL. You would be provided with the latest news , mails videos and updates about the weather as well. Aol provides news from all over the globe with all the topics integrated. They have news updates from politics and finance to celebrity news to sports news. Hence you would be updated with everything that is going around in this world. The app is available for both, android and iOS users. The news database is from all the reliable sources like TechCrunch, HuffPost, Engadget, AOL Finance and AOL Sports etc. As a result you can count on them for the authenticity of the news. 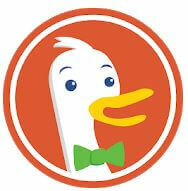 If you are a secretive person and would like to keep your search hidden and private, then duck duck go if the app for you. With this app they promise to keep the advertisers away and protect your personal data on the search device. You can easily escape the advertising tracking networks by using this app. The privacy protection network here on this app will block all the other trackers tracking all your moves. Hence you can search and browse in the internet freely. It has all the basic options as a search engine that are present in every search engine. There is also a encryption protection, private search and other duck duck go privacy policies that can protect you from all the third party viruses etc. Hence this is definitely worth a try if you want to stay away from the trackers and keeping your search data and other information private. I understood useful blog when I read ur post thanks for sharing. All the above-mentioned errors can be resolved in an easy way.